Who doesn’t love travel? Our readers have responded so positively to our travel pieces over the last year that we decided to go big this time. Here we feature six resorts all over the West, from Jackson Hole to Orange County. Read on to learn where your next awesome destination should be. For decades, the resort town of Jackson Hole, Wyoming has been famous for its rustic charm, natural beauty and location near Grand Teton and Yellowstone National Parks. The scenery here at the confluence of the Snake and Hoback Rivers and near the spectacular Teton Range can’t be beat. And the small town of Jackson Hole is a celebrated vacation destination in and of itself, offering travelers modern conveniences including a vibrant downtown, fine dining experiences and excellent shops, all in a charming Western setting. Just 20 minutes from Jackson Hole and 30 minutes from the Jackson Hole Airport is Snake River Sporting Club, a comprehensive private club and destination experience for visitors looking to get the most outdoor adventure and luxury out of their visit to the Teton Valley. The setting at the Club is incredible, with more than six miles of private access to the “Wild and Scenic”-designated Snake River and the bordering 3.5 million acres of the Bridger-Teton National Forest. From Snake River Sporting Club, a plethora of activities are yours to be had, throughout all four seasons. In the winter, the Teton area is world famous for snow sports. Jackson Hole Mountain Resort was named the No. 1 Ski Resort in the U.S. by SKI Magazine and offers some of the best terrain in the country. Try snowshoeing, cross-country skiing, skating and even Heli-skiing. During warmer months, try your hand at blue-ribbon fly-fishing on the Snake, take a trail ride on horseback or enjoy a canoe or kayak tour. 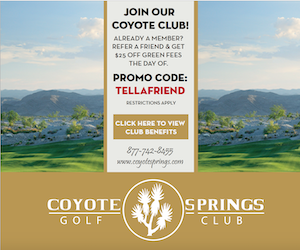 Don’t forget golf, of course—a true highlight at the Sporting Club is the expansive Tom Weiskopf-designed 7500-yard golf course, which offers multiple sets of tees for all levels of play. The golf course here was specifically designed to incorporate and embrace the natural landscape, so that the golf experience here blends nature with a varietal design that winds through native pines, cottonwoods and willows just yards from the Snake River. Don’t be surprised if you see moose or eagles during your course of play. 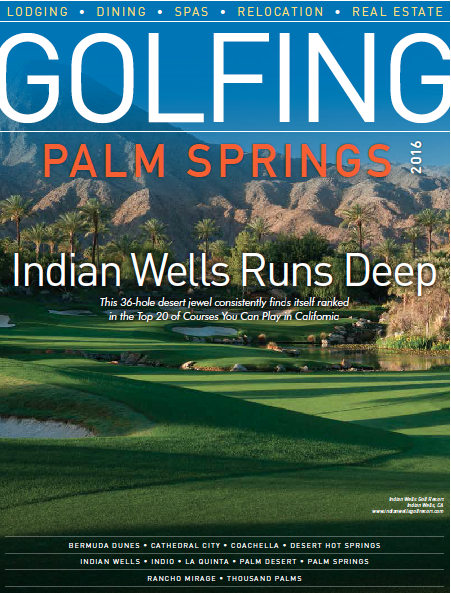 The course recently underwent a $5 million dollar renovation and is better than ever. Don’t miss the chance to play this incredible course in such a scenic area. Nestled in the valley among aspen and cottonwood groves or high on a bench overlooking the Snake River Canyon visitors will find home sites and completed residences. To open this summer are a collection of turnkey cabins, situated along a picturesque creek within walking distance to the Clubhouse. These four-bedroom, four-bath cabins are currently available for purchase and will make an ideal home base for families looking to explore the entire club and the outdoors surrounding it. The Clubhouse is the centerpiece of Snake River Sporting Club, offering luxurious amenities and outstanding views of the Snake River and the surrounding mountains. Contemporary Western décor is found throughout, as are a sports shop, restaurant, exercise facility, locker room and outdoor deck on which to relax and take in the incredible scenery and sights of native wildlife. A premier mountain resort and golf destination, Teton Springs Resort and Club delivers an unforgettable experience set in the spectacular surroundings of Yellowstone-Teton Country. The Resort sits on the Wyoming/Idaho border, an area long renowned for natural beauty, natural resources and nearly limitless recreation opportunities. This incredible natural ecosystem offers visitors the chance to pursue dozens of activities, from golf to a visit to the pool to tennis and basketball right in the resort, to fly fishing, rafting, hiking, biking, horseback riding and more on the outskirts of the resort. The South Fork of the Snake River delivers top-notch cutthroat and rainbow trout fishing, and white water rafting is also popular. Caribou-Targhee National Forest is valued for miles of hiking and biking trails and incredible natural beauty. During the winter, partake of world class skiing at the Grand Targhee Ski Resort. And of course, Teton Springs Resort and Club is just a short drive to two of the nation’s most treasured destinations—Yellowstone and Grand Teton National Park. The Lodge at Teton Springs Resort and Club was named the “Best Hotel in Idaho” by U.S. News and World Report from 2012 through 2014. This fabulous destination, by Natural Retreats, operates year-round and offers over 50 casually elegant guest rooms and one and two bedroom suites. Beautiful luxury mountain homes are also available for short and long-term rental. Each custom home is unique and offers guests a truly private retreat for a family vacation, corporate retreat or friends’ getaway. Stillwaters Spa and Salon is a 5,000-square-foot facility featuring a full range of pampering treatments and healthful services. Enjoy fine meals at Range Dining or venture into nearby towns Victor, Idaho, or Jackson Hole, Wyoming, for more dining, shopping and entertainment. 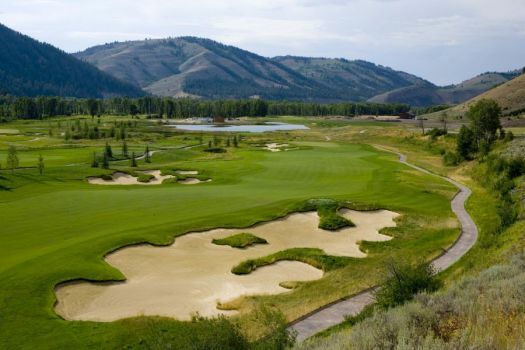 The main attraction at Teton Springs Resort and Club continues to be the award winning golf. 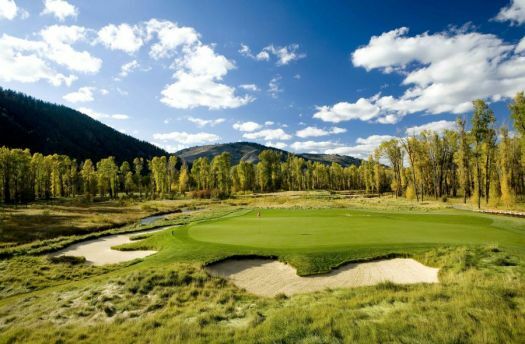 The Headwaters Club at Teton Springs Resort continues to build on its stellar reputation as a true championship venue, and annually plays host to prestigious Rocky Mountain golf tournaments, and always to rave reviews. Nationally recognized by numerous golf and leisure magazines, the resort's courses were designed to complement the area's natural terrain. Rolling fairways, well-bunkered greens, and spring fed lakes teaming with native trout promise memorable rounds for all. The 18-hole Championship Headwaters Course and 9-hole Nelson short course were masterfully crafted and designed in a unique collaboration of golf’s greatest talents, the legendary Byron Nelson, U.S. Open Champion Steve Jones and master architect Gary Stephenson. 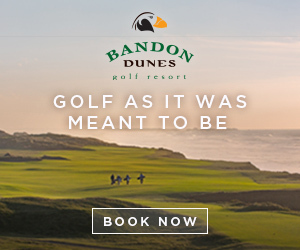 These courses must be experienced to be described, playable not only as a challenge to the finest golfers, but also to be enjoyed by beginners and intermediate players of all levels. This unique group understood Nelson's primary design philosophy; a shot well struck by any golfer should be rewarded. The vacation and residential destination Teton Springs Resort and Club offers a world-class golf course, spectacular scenery nestled in a forest of aspen and pine, and the ultimate amenities to make your stay wonderful. This luxury community truly offers the best of all worlds—an unforgettable golf experience and access to endless recreational pursuits. The Lodge at Torrey Pines is located high above the cliffs of the prominent seaside community of La Jolla, just 20 minutes north of downtown San Diego and the airport. The AAA Five Diamond resort, which was designed to blend in with the sandstone formations and Torrey Pine trees of nearby Torrey Pines State Reserve, has expansive views of the world-renown Torrey Pines Golf Course and Pacific Ocean while reflecting the stress-free lifestyle of America’s Finest City. The Lodge at Torrey Pines pays homage to the California Craftsman style of architecture of the early 1900s with its post-and-beam construction, expansive spaces, respect for the natural landscape, and integration of indoor/outdoor living. Three of the suites at The Lodge at Torrey Pines are named after well-known Craftsman establishments – the Thorsen House in Berkeley and the Gamble House and Robert R. Blacker House in Pasadena. The Lodge boasts 169 distinct guestrooms and suites with views of the courtyard, golf course and ocean in the distance. While only 11 years old, The Lodge at Torrey Pines truly boasts a century-old feel thanks to the amazing décor and atmosphere. The expansive rooms are finished in dark woods and green tile and are appointed with tall potted palms, stately Stickley-style furniture, fireplaces, large mantelpieces, overstuffed couches, and comfortable leather chairs. A granite-topped bar, Tiffany-style lamps, and oil-rubbed bronze fixtures add to the luxurious feel. A short walk from the resort, Torrey Pines State Reserve offers some of the most breathtaking coastline along the West Coast. The 2,000-acre park includes Torrey Pines State Beach, eight miles of hiking trails, and a lagoon that his home to several migrating seabirds. A.R. Valentien features farm-to-table California cuisine served in a breathtaking setting overlooking the golf course. Executive Chef Jeff Jackson, a protégé of the famed French chef Jean Banchet, changes the menu daily depending on what’s being offered from local growers, ranchers, and fishermen. The restaurant’s wine list features California wines exclusively, including a variety of boutique wineries from throughout the state. The Lodge at Torrey Pines also offers a casual dining option, The Grill, which has an adjoining bar of warm wood and accents of leather and copper, as well as a demonstration kitchen that showcases first-rate California casual bistro cuisine. The Drugstore Style Hamburger, available for lunch and dinner, is a must-try. Large flat-screen televisions throughout the restaurant and bar make The Grill the perfect environment in which to relax, unwind, and dine. Site of the epic 2008 U.S. Open, the Torrey Pines Golf Course is the most sought-after track to play in Southern California. This Rees Jones-designed course hosts the annual Farmers Insurance Open, won in 2014 by Scott Stallings. Resort guests can take advantage of priority tee times for the opportunity to play where the pros play with the stunning California coastline as a backdrop. 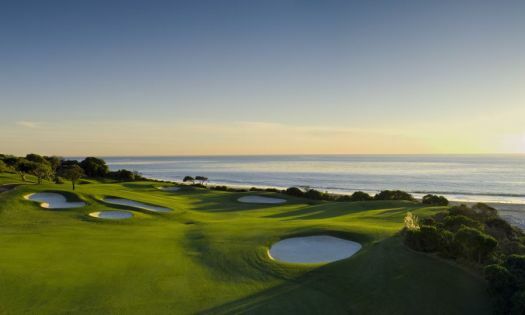 Torrey Pines, which is set to host the 2021 U.S. Open, is the ultimate golfing experience with challenging holes, brilliant sunshine, and picturesque views. What’s better after golf than a massage? The Spa at Torrey Pines features separate women’s and men’s retreats with 14 private treatment rooms, saunas, herbal-infused steam rooms, and aromatherapy inhalation rooms. The Spa menu features a complete line of restorative treatments such as therapeutic, meditative and cobblestone massages, facials, body wraps, Vichy showers, and hydrotherapy, all with an emphasis on botanical and marine-based extracts. If your family or group is like most others, there’s never a lack of options—or opinions. Do you ever find that opinions are especially formed and expressed when it’s vacation time? Funny how that happens! It seems there are always four or five votes that weigh in on deeming a course perfect enough for your game—and we’re not talking about good angles for approach shots or forgiving greens. We’re talking about opinions about new theme park rides, prime sand castle building conditions and how many water activities can fit into one day. We’re talking about all the things your family wants for your perfect golf vacation—not to mention your game. In Southern California, the place that fits the bill is Carlsbad. Here, “off the beaten path” doesn’t mean out of the way. In fact, Carlsbad is sandwiched right between Orange County and San Diego, and is home to The Crossings—San Diego’s newest course—plus LEGOLAND® theme park, fashion-forward shopping, warm sunny beaches, relaxed train transportation and much more. The Sheraton Carlsbad is the seaside bluff retreat buzzing with the energy of this anything-is-possible southern California lifestyle. Guests range from golf warriors to business travelers, families and couples. Refreshing marine botanical spa treatments at the on-site Ocean Pearl Spa are a favorite indulgence no matter who you are—as are the ocean-view happy hour and laid-back resort pool where lagoon-style pools are shaded by palm trees. The total coastal resort experience for golfers is absolute with the adjacent The Crossings, designed by Greg Nash, which consistently wins acclaim as one of southern California’s most atmospheric and playable public courses, and fairways are kept cool by an ever-present ocean breeze. The course gets extra kudos for a panorama clubhouse boasting views of the ocean just a mile away. And what golfer doesn’t love a 30-second golf cart ride between hotel room and tee time? Carlsbad is the perfect destination to fall in love with California train travel, where it’s just a two-hour ride to Los Angeles and even less to Orange County and Disneyland. It’s easy to get to downtown San Diego, where just $11 round trip gets you to the city that offers the buzzing Gaslamp District and Balboa Park. Within the Carlsbad region, the San Diego Botanic Gardens, San Diego Safari Park, Temecula Wineries and prime hiking and bike riding trails are all a short drive from Sheraton Carlsbad. Natural surroundings are in plentiful supply for everyone in Carlsbad—golfers included. Environmental preservation is key here, and The Crossings retains much of its coastal sage and other flora, with fairways connected by a handful of bridges built to work the course into its natural uneven landscape. Take advantage of the Sheraton Carlsbad’s Playcation package, including spacious accommodations, a hearty breakfast and your choice of daily activities including golf at the Crossings (with unlimited use of practice facilities and personalized bag tag), Resort Hopper tickets to LEGOLAND California, one hour jet ski rental at the Carlsbad Lagoon, or a relaxing massage or facial treatment at Ocean Pearl Spa. The variety of amenities in Carlsbad are likely to leave you wondering how it took you so long to discover this seaside retreat—and thankful that the most interesting families never have a lack of opinions. Secluded amidst 200 acres of rolling valleys along the Pacific Coast, Park Hyatt Aviara Resort provides an appealing setting for the golf traveler. The resort’s Spanish colonial architecture welcomes with a sense of casual elegance. Each of the 327 spacious guest rooms—including 43 suites—features a private balcony or landscaped terrace offering magnificent views. Expansive facilities for meetings and special events are enhanced by complete resort amenities, from acclaimed dining at four on-site restaurants, to a full-service spa, swimming, tennis, a fitness center and our Arnold Palmer-designed 18-hole golf course, home to the LPGA Kia Classic. Named by Golf Digest and Golf Magazine as one of the best resort golf courses in America, Park Hyatt Aviara Golf Club overlooks the Batiquitos Lagoon Wildlife Sanctuary in beautiful Carlsbad, California. The only coastal California course designed by Arnold Palmer, Park Hyatt Aviara Golf Club features a memorable, botanical layout—par 72 over 18 holes and 7,007 yards uniquely sculpted around rolling hillsides, native wildflowers, and plenty of bunker and water challenges. Hole after hole, Aviara golf stimulates the senses with colorful flowers and flora. The elegant two-story, 32,000-square-foot Spanish Colonial clubhouse features a bar, a large cozy lounge with fireplace, and the adjoining Four Diamond Argyle Steakhouse with indoor and outdoor balcony seating. Showers, locker rooms, an upscale golf shop, a driving range, and an oversized practice putting green further complement the upscale amenities offered at Park Hyatt Aviara Golf Club. Dana Point, California, located in southern Orange County, is one of the most favored destinations on the Pacific Coast, and the Forbes Five-Star, AAA Five-Diamond-awarded St. Regis Hotel is the premiere resort destination in Dana Point and Orange County. Featuring one of the “Top 25 Hotel Spas in the World,” as voted by Travel & Leisure Magazine, St. Regis is an excellent choice for beach, golf and spa, as well as dining, luxury and relaxation. Lodging lives up to the beautiful St. Regis coastal property. Four hundred luxury room and suite accommodations include exclusive amenities like custom furnishings, a private balcony, spacious bathrooms and 300 thread count linens. Spa Gaucin, on site at St. Regis, is a five-star Orange County spa experience, committed to creating an exceptional experience for each guest. From luxurious massages and customized treatments to fitness classes and oxygen-enhanced microdermabrasion facials, the goal at Spa Gaucin is to surpass all expectations and to help you escape to a sanctuary of indulgence and relaxation. Stonehill Tavern, celebrity chef Michael Mina’s modern twist on classic tavern fare; and Club 19, located at the golf clubhouse, which specializes in quick, à la-carte American fare perfect as the conclusion to your round of golf. Speaking of golf, don’t miss the opportunity to try the championship course Monarch Beach Golf Links. Located adjacent to the Pacific Ocean and Salt Creek Beach in Monarch Bay, Monarch Beach pairs with St. Regis Hotel for golf and resort packages. In 2010, Golf Magazine named Monarch Beach one of the premier golf resorts in the area. The course was ranked No. 17 on the Top 20 U.S. Golf Courses, Readers’ Choice by Celebrated Living in 2009, No. 3 on Orange County’s 18 Can’t Miss Golf Holes in 2008 by Orange Coast Magazine and recently 4 ½ out of 5 Stars by Trip Advisor. Golfing guests can see the Pacific Ocean (and Catalina Island) from all 18 holes—spectacular! In fact, the course is one of only nine golf courses in California with a hole (or two in this case) on the ocean. If you need to stock up your gear selection, the Monarch Beach golf resort store has been recognized as one of the Top 100 Golf Shops, according to Golf World Magazine. 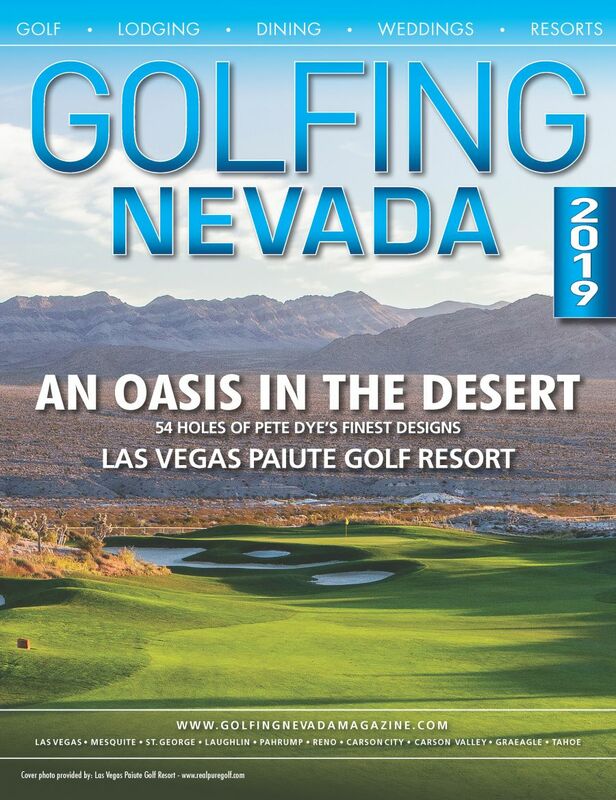 Award-winning and regionally recognized golf instructors, a brand new state of the art GPS, flex rental sets (featuring Nike, Ping, TaylorMade and Titleist), Nike rental golf shoes, and golf ambassadors (forecaddie golf concierges) round out the amenities at this fabulous golf course. Back at St. Regis resort, enjoy the private beach and three swimming pools for water play and poolside lounging. Kids can enjoy the Sandcastle Club, offering an exciting schedule of energetic, creative and highly satisfying activities for children aged 5-12 years. And a tennis club and fitness center round out on site activity options at this fantastic destination resort. Located along the pristine shores of the Pacific Ocean, St. Regis offers incredible views, recreation opportunities and lodging luxury.